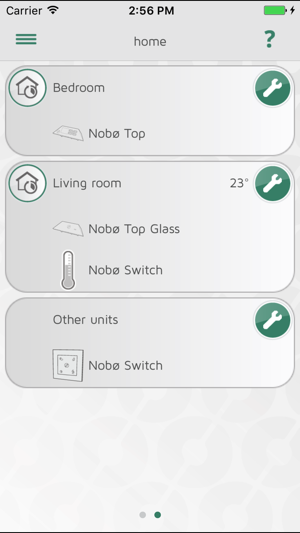 The new Nobø Energy Control system provides you with complete, APP based control over heating in your household. It regulates heat to desired temperature for specified time periods, resulting in lower electricity usage without compromising your comfort. 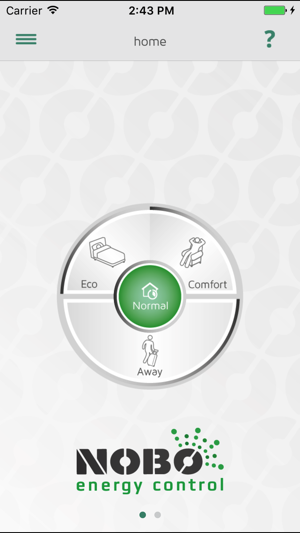 Different areas in the house (zones) can be controlled individually through the app interface. The system can also be used to switch lights and other appliances on and off at selected times. See www.nobo.no for more information. * Organises heaters, lights and appliances in ZONES (functional groups). 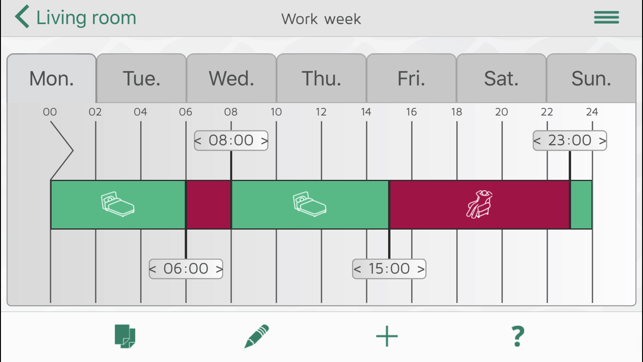 * Each zone has a Normal Weekly Program defined by the user, with four possible settings available (COMFORT, ECO, AWAY and OFF). 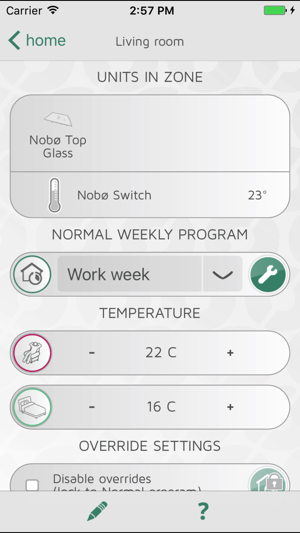 The Normal Weekly Program runs automatically, saving electricity and money. * System override at a single touch on APP, when short term changes are needed. * Multiple users can operate the same system. 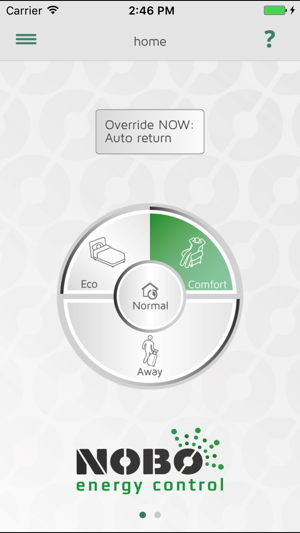 * COMFORT and ECO Temperatures can be set individually for each zone, depending on the type of system units. AWAY equals frost safe temperature 7°C. * System units (heaters etc.) can be added and removed at any time. * System units (heaters etc.) can be moved between zones. * System units (heaters etc. ), zones and weekly programs can be named and renamed. * See www.nobo.no for more information. You can now create local zone overrides in the app. Touch or hold the status icons to the left in the zone list to create zone overrides. Nobø Switch can be added for individual zone control. For more information, please see our help pages at help.nobo.no. The app itself is stable and you can control your panels with ease but that’s all you can do. Would be very useful to see current room temperature, panel status (on/off) and force touch temperature setting in the app. Any update soon?